Home » How To » How can I recover Outlook email passwords? Are you locked out of your Outlook account and you are finding it difficult to remember your password? This article is designed to help you out. We’ll be showing you how to recover Outlook email password, to ensure you are not locked out of your account for long. 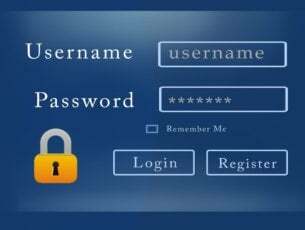 People forget passwords everyday, which is why there are numerous password recovery programs in the market today. These programs are specially designed to facilitate password recovery, and ensure we are always provided unfettered access to our accounts, documents, gadgets and so on. For Microsoft Outlook users, there is a manual procedure, which can easily be followed to recover lost or forgotten Outlook email password. And we’ll be enlightening you on how to use this procedure, as well other notable methods, to recover Outlook email password. Microsoft Outlook, like other notable communication programs, provides an option for recovering forgotten password. This is the basic process for recovering forgotten Outlook password, and it is often referred to as the “manual recovery process”. From the list of “reasons” (why you want to reset your password), and select the appropriate reason. In the provided box, input your “recovery email address” (email used during registration). Fill in the verification characters (figures and/or letters). After this, you’ll receive a verification code via the provided email address or phone number. Input the verification code in the appropriate box and submit entry. Reset and generate new password. This action is the conventional method that can easily be used, by anyone, to recover Outlook email password. However, if you can’t recall your Microsoft account’s recovery email or registered phone number, you might have to adopt a third-party software solution to recover or reset the password. There are tons of recovery software in the market, any of which can be employed to recover Outlook email password, and facilitate access to your Outlook account. For convenience, we’ll be looking at two of the most prominent Outlook password recovery software in market. Note: We’ve also described how each of the below-listed software can be employed, to recover forgotten or lost Outlook email password. Smartkey Office Password Recovery is a renowned password recovery software, specially designed for recovering passwords associated with Microsoft Office programs (including Outlook). It is supported on all Outlook versions, from the most recent to the oldest. Also, it works perfectly on all Windows OS computers, from Windows 2000 upwards. Smartkey Office Password Recovery uses a set of decryption protocols to unlock password-protected Outlook email, and ensure you are able to access your account with unimaginable ease. The software is an all-in-one recovery tool; optimized to, not only recover Outlook email password, but also recover passwords on other Office tools like Excel, Access, PowerPoint, and others. With this, you don’t have to worry about forgotten email passwords, as you are provided with a durable avenue to easily recover them. Smartkey Office Password Recovery offers three major options for recovering lost or forgotten Outlook password. 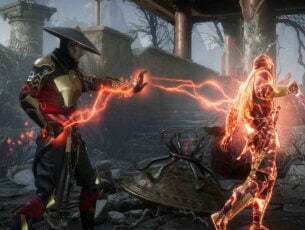 These include: Brute Force, Brute Force with Mask Attack and Dictionary attack. The Dictionary attack option, however, requires a pre-installed Password Dictionary, and it is the fastest of the three. Smartkey Office Password Recovery offers a brief free trial to new users, after which they are required to purchase one of the two available pricing editions: Standard (for $24.95) or Professional (for $34.95). Purchase the Smartkey Office Password Recovery tool. You can also download the free trial version. Install the program on your computer and open it. Import the passworded Outlook program or document to be recovered. Select one of the three available password recovery options; preferably the “Dictionary Attack” option, if you have a password dictionary. 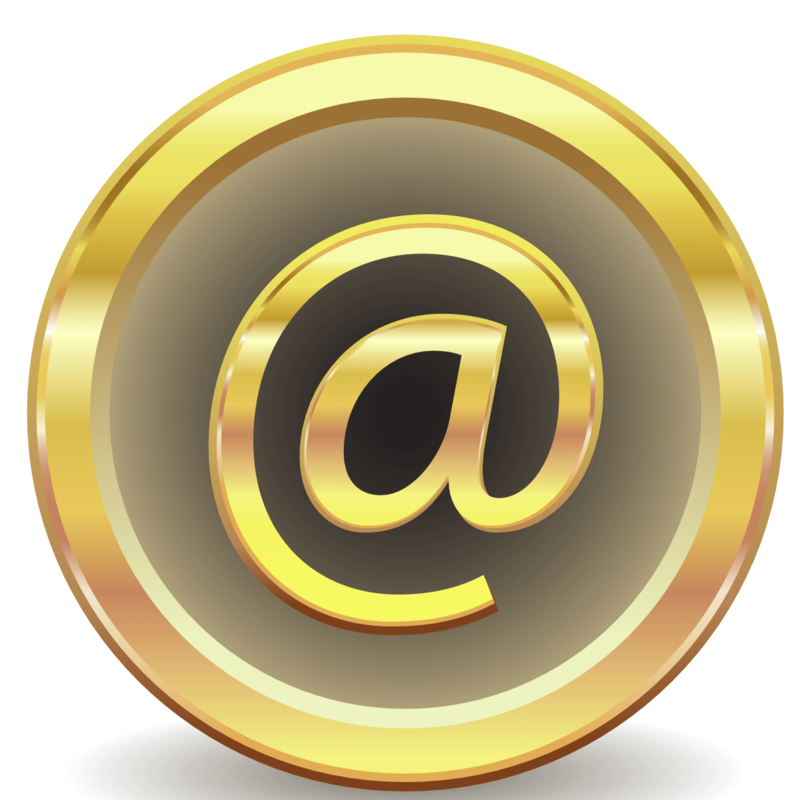 Open your Outlook account and access your email messages. Note: After successful recovery, it is highly recommended you reset your Outlook email password to a less complex combination. If you are still in doubt, then it’s better to outrightly remove the password. 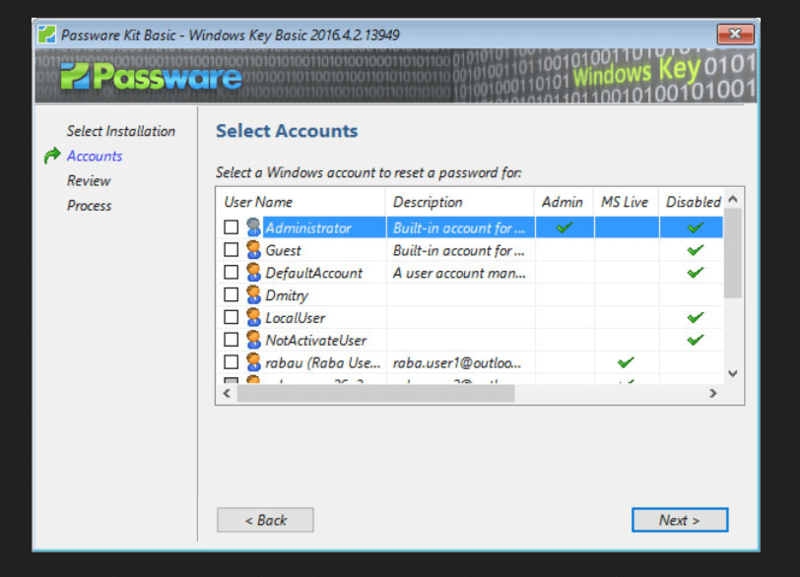 Windows Key from Passware is a prominent password recovery solution for resetting/recovering all types of passwords and security settings on a computer, specifically Windows computer. It is exclusively designed to support only Windows 10/8.1/8/7/Vista/XP. Also, it can be adopted to reset passwords on Windows Server 2013 and older (down to WinServer 2003). Windows Key from Passware is fairly easy to use. And it works alongside a bootable USB drive or CD. The program embed the recovery tool on a bootable CD/Flash drive, which can then be used to reset Outlook password and/or other password-protected programs on your computer. Passware Windows Key can execute the following security commands: Reset Admin password, reset program-specific password, reset secure boot, reset system security policy and more. These commands are optimized to operate at 100% recovery rate. Windows Key for Passware is available in three pricing models – Basic, Standard Plus and Business – all of which come with a one-month money back guarantee. The lowest plan, Basic, goes for $39. Purchase the program and install it on your computer. Get an ISO image or a Setup CD (for Windows). Request for an ISO image, if you don’t have one. You can table your request from this page. Burn the ISO image on a blank Flash drive or an empty disk. Allow the Flash drive/CD to take control of your system’s boot process. Reset the security settings on your computer. After successful recovery, you are all set! You can now open your Outlook account and access your email messages as you see fit. If you happen to forget your Outlook account password, don’t become so hard on yourself; we all forget passwords. To ensure you are easily able to recover your password and access your Outlook account, we have created a comprehensive guide for you. In this guide, we have described the conventional Outlook password recovery method, as well as durable software solutions, which you can easily employ to recover your password and access your Outlook email account. If you’ve attempted any of the solutions in this tutorial, kindly share your experience with us.